- If you wish that every day was Halloween, these are just the earrings for you! Teeny tiny bats have a wingspan of only 1/2", but are perfect in every detail. Made of sterling silver, for pierced ears only. 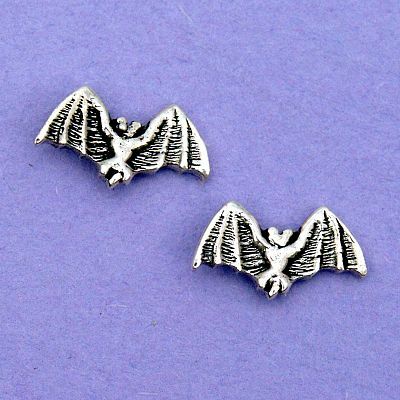 Do you have any other questions about our Silver Bat Stud Earrings?